Gay Lee's 8 CE Topic Card Home Study Course is easy, effective, and revolutionary. 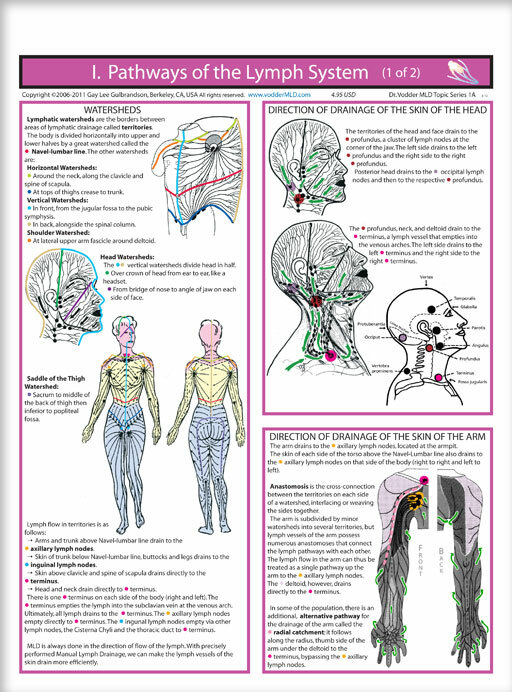 Graphically based, it presents the basics of the Lymph System, Lymphedema, and Manual Lymph Drainage in a series of clear illustrations and simple descriptions. This is the ideal way to learn about the versatile, therapeutic, medically prescribed technique of MLD. The Topic Cards that comprise the curriculum serve as your MLD quick-reference guide after you complete the course. If you have already made purchases, please Sign In. The products available for purchase on this page are shown below. If these are not the products you are seeking, please view our Store Catalog. MLD Topic Card Home Study 8 CE Course information. 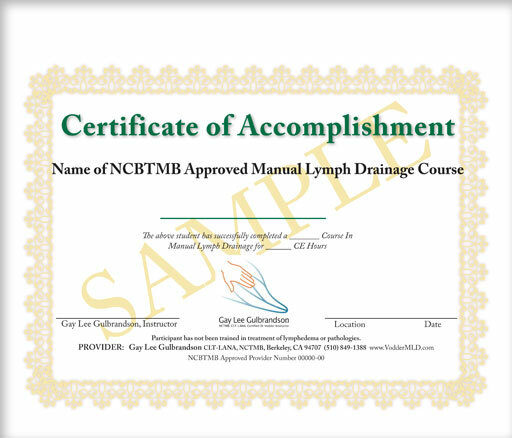 NCBTMB Approved Provider. 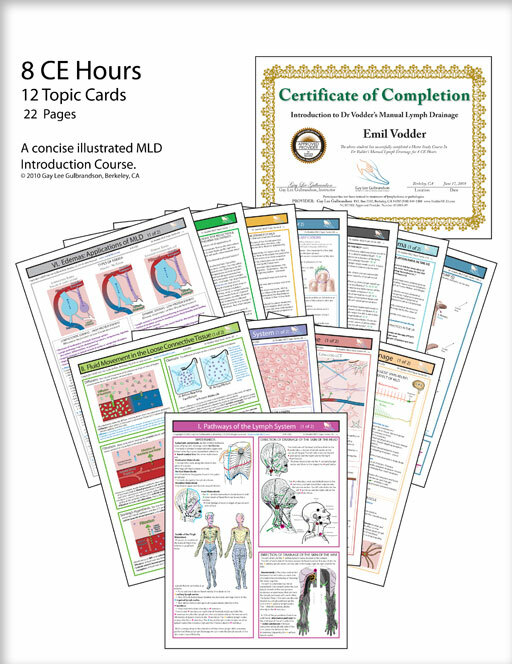 Quick Reference cards illustrating the fundamentals of MLD theory and technique. LE Wellness Manual Home Study 8 CE Course info details. A full set of Wellness Manual Blank Fillable Computer Forms at a small fee. Wellness Manual Registered Owners: FREE downloads and more.